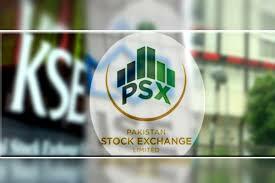 On Tuesday, until mid day, KSE-100 Index was at 42680.89 with a positive change of 241.85 and volume of 64,235,870 shares. High and Low were 42748.40 and 42439.04 respectively. Total volume traded in the market was 243,459,470 shares with 358 total traded companies out of which 226 were up, 114 were down and 18 were unchanged. Commercial banks were the top traded sector with total traded volume of 55,577,400 shares. It was followed by textile composite with a total traded volume of 25,911,900 shares. The three top traded companies were P.I.A.C. (A) with a volume of 17,219,500 and price per share of 12.55 (0.01), Azgard Nine with a volume 12,793,500 of price per share of 8.77 (0.56), B.O.Punjab with a volume 11,624,000 of price per share of 19.00 (0.10). The top three advancers were Wyeth Pak Ltd with a price per share 4533.87 (215.89), Nestle PakistanXD with the price per share of 8500.00 (200.00) and Sanofi-Aventis share of 1914.70 (91.17). The top three decliners were Rafhan Maize(XD) with the price per share of 7410.00 (47.50), Khyber TobaccoXD with the price per share of 900.00 (21.50) and Sitara ChemicalXD per share of 550.00 (19.00).